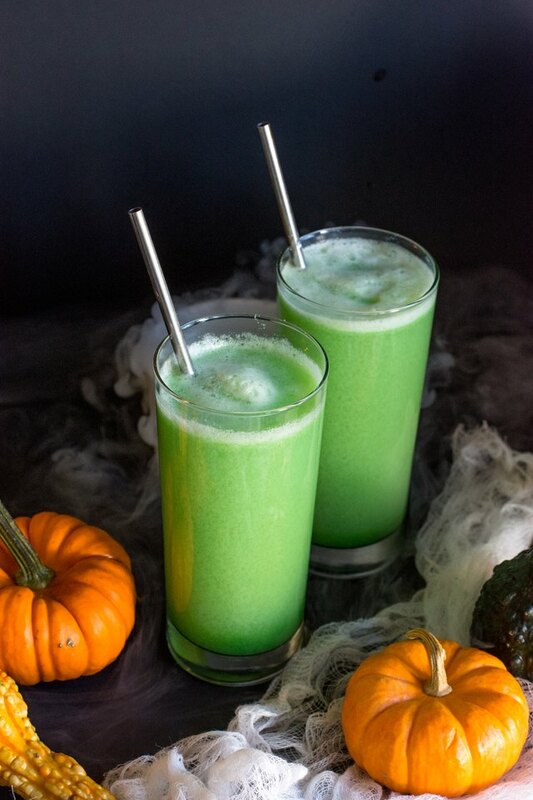 What's green, bubbly, and and looks terrifically spooky? Monster punch! 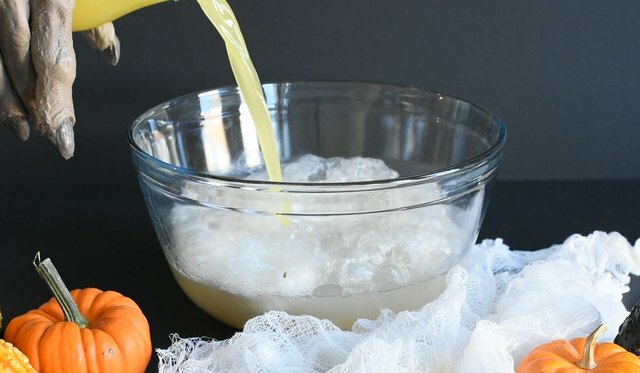 This is the perfect drink to serve at your Halloween party this year. Its eye-catching fluorescent color matches the fruity flavor. Learn how to mix this easy-to-make monster punch in a matter of minutes! Add the pineapple sherbet to a large glass bowl. Pour in ginger ale, pineapple juice, and gelatin powder. Mix well. In a plastic cauldron, add about 2 inches of warm water and a chunk of dry ice to make it smoky and bubbly. Place punch bowl in the cauldron for a spooky effect. Serve immediately, and enjoy! Be sure to wear gloves or use tongs when handling dry ice. Don't put the dry ice in the actual punch. Only in a surrounding bowl.